Superdry women’s Aria slim crew sweatshirt. 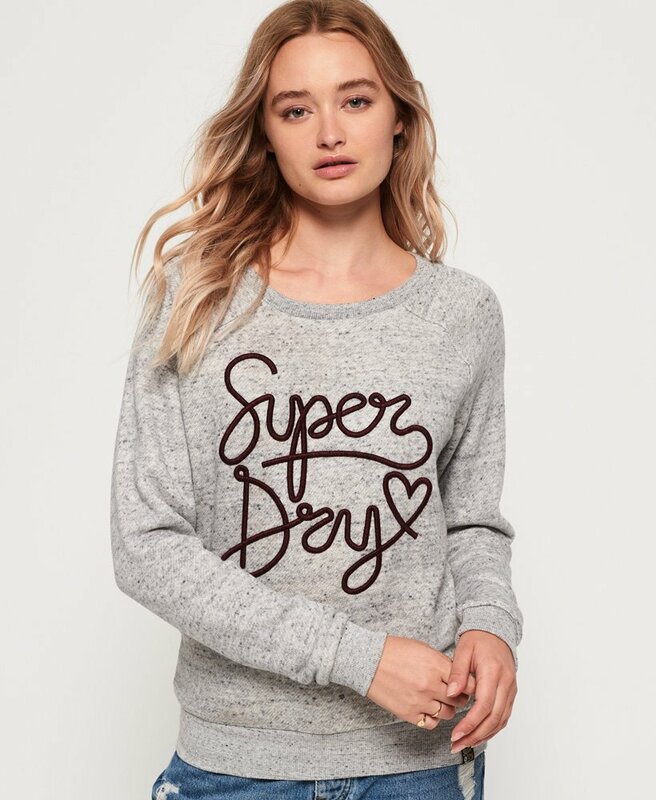 Simple and so chic, this soft sweatshirt features a crew neck, Superdry logo graphic across the chest and ribbed hem and cuffs. This is finished with a Superdry logo badge on the hem.